You guys may recall a post back in the summer where I talked about how I was earning my MBA (Masters in Beef Advocacy) with five online course modules designed to educate people about the beef industry. Those courses inspired me to write some fun and informative posts. But after getting that MBA, a friend at the New York Beef Council contacted me and encouraged me to apply for the Top of the Class program, which is essentially like the PhD level of beef advocacy training. I submitted my application and was accepted! It was wild. 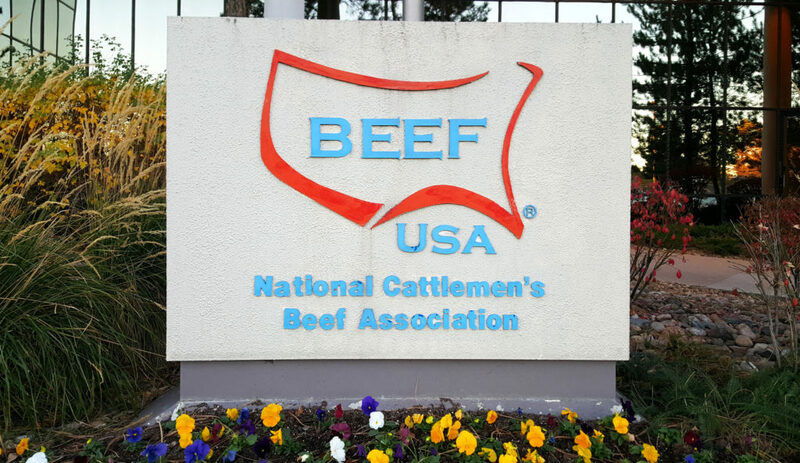 Two days of intense training, beef information workshops, on-camera cooking demos, on-camera interviews facing tough questions, engaging lectures and helpful blogging tips. 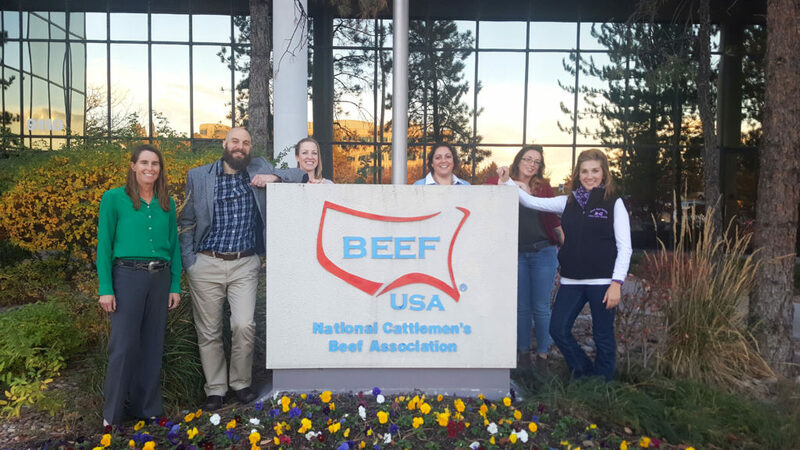 The first half of day one involved group sessions with topics on nutrition, beef research, food photography, blogging, beef advocacy, animal care, sustainability and beef quality assurance. We also received tips on how to give effective presentations and how to conduct media interviews (on topics we are passionate about, and then some harder questioning about the beef industry). In the afternoon and on day two we had individual break-out sessions. Two fun break-outs involved me getting in front of a camera, rather than working behind it like I normally do. The first was a simulated TV interview with a PR and media training specialist, in which he asked me a bunch of questions about aged beef, and then threw in a few zingers about beef safety and the myth we know as “factory farming.” I was prepared to answer given my previous training! I’m trying to get my hands on those videos for you to see how I performed. The second fun break-out was a cooking demo, where I prepared “planned-overs:” A crispy Cuban shredded beef stir-fry dish made from the leftovers of a “Sunday roast.” This was filmed as a simulation as well: I was the cooking guest on a morning news TV show, with a host who asked me questions and helped me prepare the food. During the shoot, the goal was to work in some messaging about beef nutrition, and about re-purposing leftovers to help reduce food waste. I’m trying to get my hands on these videos as well. They were pretty cool. Other break-out sessions were about finding a message, a niche and a goal for both my blogging endeavors and my social media accounts. I think it’s safe to say I’ve found my niche! There were also some sessions regarding how to engage and advocate about beef on social media and elsewhere. Each Top of the Class program has five students, and I think they’ve only done a handful of programs to date. The other students in the program were highly diversified, and I thought it would be cool to introduce them to you. Lindsay has a blog called “Agricultural With Dr. Lindsay.” Her aim is to bring her readers stories about agriculture and introduce them to the people who grow and produce our food. She shares agricultural practices, meat selection, cooking and storage tips, and will answer any questions you may have. With a Master of Science in Animal Science, a Master of Art in Speech Communications, and a PhD in Systems Agriculture from West Texas A&M University, you can be confident that Dr. Lindsay will have highly knowledgeable answers for you. She’s truly a force to be reckoned with. Lindsay grew up on a cattle and sheep ranch in northern CA. She was a 10 year 4-H member, received a formal education in agricultural systems, and worked a variety of jobs in the agricultural industry (meat packing, feed yards, managing cattle herds, collecting research, etc.). 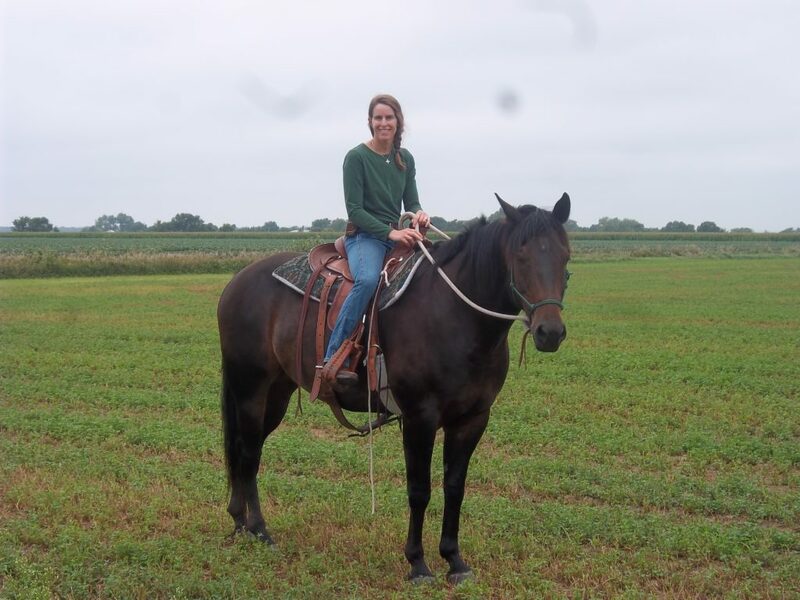 She was also an Extension Educator with University of Nebraska-Lincoln for six years focusing on livestock, agriculture, food systems, and 4-H, working with both adults and youth. In January 2016 she began a new career with Nevada Cooperative Extension. If you’re wondering what some of that stuff means, I will explain it to you as best as I can. And yes, I was clueless about it too. The Department of Agriculture’s National Institute of Food and Agriculture’s (NIFA) Cooperative Extension provides non-formal education and learning activities to farmers, residents of rural communities, and people in urban areas throughout the country. The country’s more than 100 land-grant colleges and universities have a critical mission: extension. Through extension, they bring vital, practical information to agricultural producers, small business owners, consumers, families and kids. Kids complete hands-on projects in areas like health, science, agriculture and citizenship. They receive guidance from adult mentors and are encouraged to take on proactive leadership roles. 4‑H touches every area of the country via in-school and after-school programs, community clubs and camps. Cassidy has a blog called Cow Country Blog. With it, she shows readers the very human and family-oriented aspects of ranching, as well as the hard work and joy behind what it means to produce cattle for the US beef market. You can see exactly the kind of love and attention that it takes to raise both cattle and a growing family. Cassidy worked on a ranch as part of her research for her collegiate honors thesis about ranching and environmentalism. After graduating from the University of Colorado at Boulder with a degree in Environmental Studies, she went to work on that same ranch. While researching, she met her cowboy husband, Robert, and they’ve been together ever since. Cowgirl meets cowboy; it doesn’t get any more classic Americana than that! Together they have worked on three cattle ranches in two different states. They currently live in Colorado and work for one of the largest ranches in the country. Like me, Kita is a photographer as well as a food blogger. 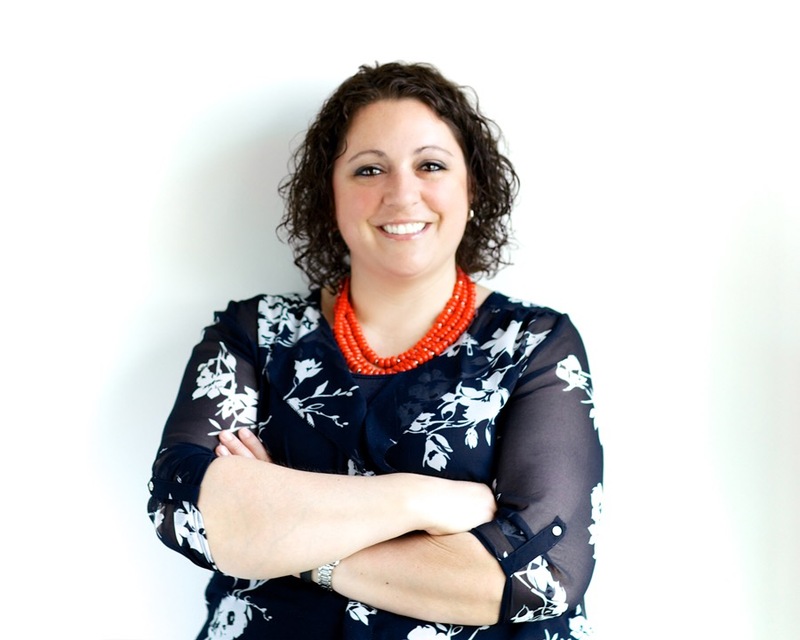 In fact she has two blogs: one is meat-centric, called Girl Carnivore, and the other is called Pass the Sushi (recipes, travel, photo tips, blogging tips). Her primary location of operation is out of Delaware, but she gets to travel around pretty often due to her photography and blogging endeavors. With her blogs, she shares tons of really awesome recipes that she developed on her own. I mean, I know how hard it is to develop a recipe and come up with something unique, and then photograph it in such a way as to get readers to run out and buy the ingredients. Kita makes it look easy. As her moniker and the above photo suggests, the “Girl Carnivore” is not limited to beef. Her site has recipes broken down by protein right on the front page for easy navigation: beef, lamb, poultry and pork. You can find amazing stuff there for entrees, side dishes, what to do with leftovers… everything. Michaela writes a blog called Cowgirl Boots & Running Shoes. On her blog, she shares healthy recipes, meal planning pointers, nutrition and dieting tips, fitness motivation, and an inside look at what family farming life is like. One of my favorite posts from her blog is about why she incorporates beef into her diet. Finally! More people talking about how great beef is for nutritional purposes. After nearly burning out from working crazy shift hours as an ultrasound tech, Michaela and her husband Matt moved themselves and their two kids back to Matt’s family farm. She does ultrasound part time now, but she also became a health and fitness coach and a certified PiYo Live fitness class instructor. She’s also an accredited La Leche League Leader and runs a support group for pregnant and breastfeeding moms. To be honest, I felt a little intimidated. I just really love steak and writing about meat! Some of these other folks had way more hands-on experience in the beef industry than me, especially when it came to knowing about farms and how beef is produced. I guess the folks in charge of the program’s admissions thought there was some value in what I was doing here, at the consumer level. But all of us are bloggers of some sort, if you hadn’t noticed. And all of us were somehow touching the beef industry, if not purely focused on it. It was a great group, and we all learned a lot from one another. The instructors were impressive, too. There were registered dietitians, food scientists, public relations specialists, sustainability gurus, feed lot operators, and media and communications experts. I actually already did a spotlight post on one of the instructors, Ann Burkholder. I hope to spotlight a few more, in time. The NCBA offices are quite impressive. 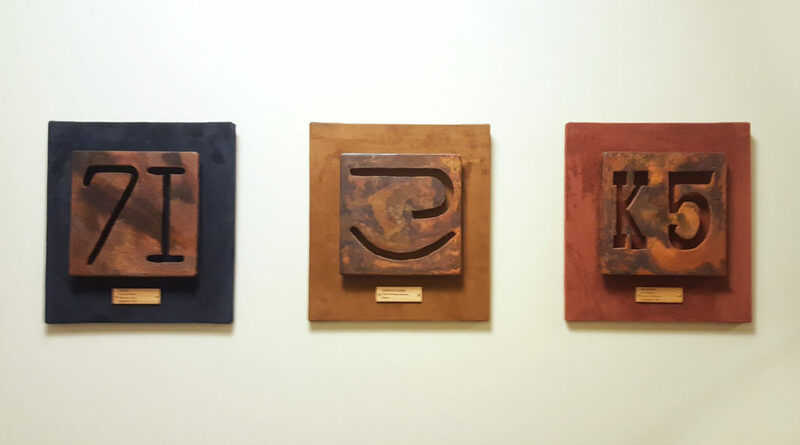 The walls are lined with nice framed photos of past leaders of the industry, and really cool cattle brands from various producers around the country, old and new. They have a state of the art test kitchen with both gas and electric piped in to play around with various ways of cooking beef. In fact this is where they create various recipes, and even study, discover, or market cuts of beef (like they did with the flatiron steak). They even innovate new products, like when they helped come up with Schmacon (beef bacon). I was impressed big time! They also have a media monitoring control room. It was like something from a science fiction movie or a spy movie. 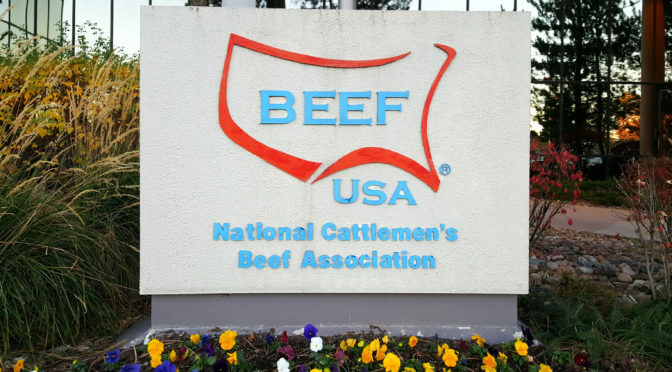 Basically, any time beef is mentioned on Twitter, Instagram, Facebook, or anywhere else for that matter, someone at NCBA will know about it and be able to respond, engage, or just simply watch. As I mentioned above, I was on camera a few times. That’s because the NCBA has a fully functioning TV studio on site, and they even have a show that airs regularly called Cattlemen to Cattlemen. They can also broadcast live and link up with various TV news agencies who may want their media spokespeople for interviews. I was blown away by the facilities. They’re truly amazing, and cattle farmers and ranchers can rest assured that their Beef Checkoff dollars are being put to very good use. But the experience as a whole really acted to sling-shot my motivation here. I’ll be doing some interesting things in the future, and posting some new and interesting content. Keep an eye out!